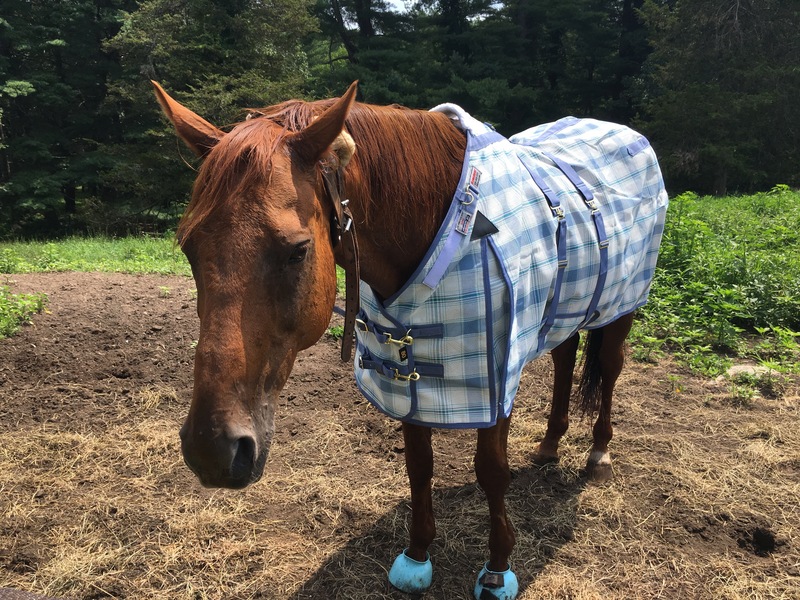 As part of my effort to keep the horses comfortable in fly season, they got new sheets. These are Dura-mesh sheets from Schneider’s Saddlery. I used to live down the street from that store and they have good products at fair prices. I like the textaline sheets. they are more durable than a lot of fly sheets, important for my two. So, which horse wears it better? Thank goodness they’re not self conscious about wearing the same colors! 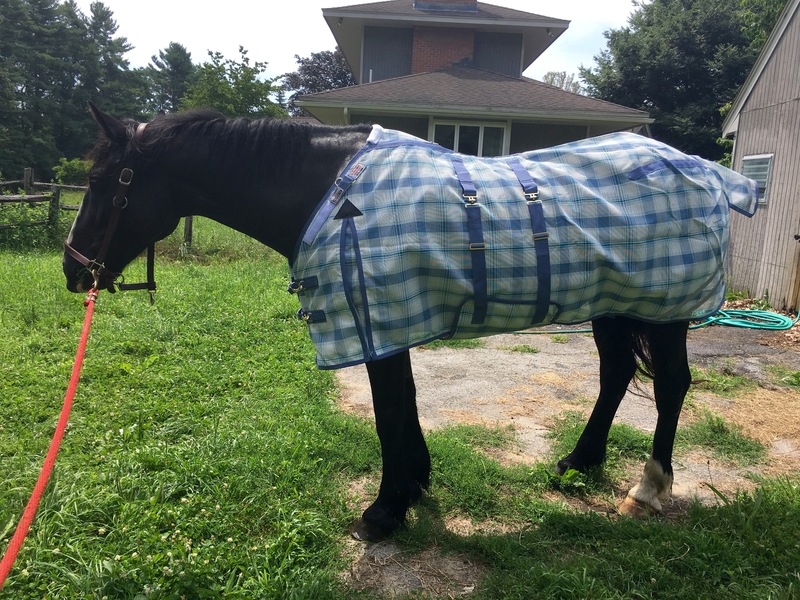 Both of them wear it well, but I’m a bit (a LOT) biased here: I love Zelda with all my heart (I think she might be my spirit animal …) and I just think her darker coat harmonizes better with the lovely blue shaded tartan. Yeah, Z’s a diva. And it’s so much easier to find good colors for a black horse!